Swami Chinmayananda, the founder of Chinmaya Mission, was born in 1916, in Cochin, India. Not satisfied with degrees in literature and law or with other worldly aspirations, he pursued the spiritual path in the Himalayas under the guidance of Swami Shivananda and Swami Tapovanam. He taught the logic of spirituality, while emphasizing the balance of head and heart. Selfless work, study, and meditation are the cornerstones of spiritual practice, he said. He is credited with the renaissance of spiritual and cultural values in India and with awakening the rest of the world to the ageless wisdom of Vedanta. His legacy remains in the form of books, audio and video tapes, schools, social service projects, more than 300 full-time Vedanta teachers whom he taught and inspired and more than 300 Chinmaya Mission centers around the world serving the spiritual and cultural needs of local communities. 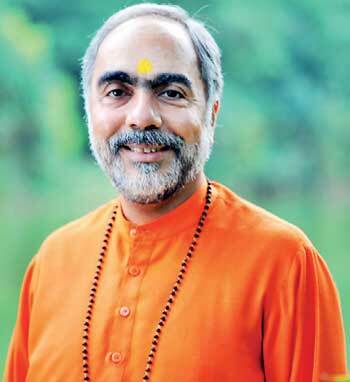 Pujya Guruji has served as acharya of the Sandeepany Institutes of Vedanta both in India and California. He has written commentaries on scriptural texts, translated Pujya Gurudev's commentaries into Hindi, and authored a number of books. One of his key contributions is ‘Hindu Culture: An Introduction,’ a text acclaimed for its clear description of the basics of Hinduism and adopted as a text in some American high schools. Pujya Guruji excels in expounding a wide spectrum of Hindu scriptures, from Ramayana to Bhagavad Gita to the Upanishads. He conducts jnana yajnas and spiritual camps around the world, traveling at a bewildering pace. His easy manner and devotional rendering of Vedantic texts has drawn many newcomers into the spiritual fold. Viswa Kumar is the architect of Chinmaya Avantika. Inspired by Pujya Gurudev, he has been working for the mission for the past 35 years. Using his skills as an engineer along with his devotion to Gurudev's vision, he was instrumental in the construction of the Ashram, as well as its maintenance. He has conducted several study groups and Bala Vihar classes.